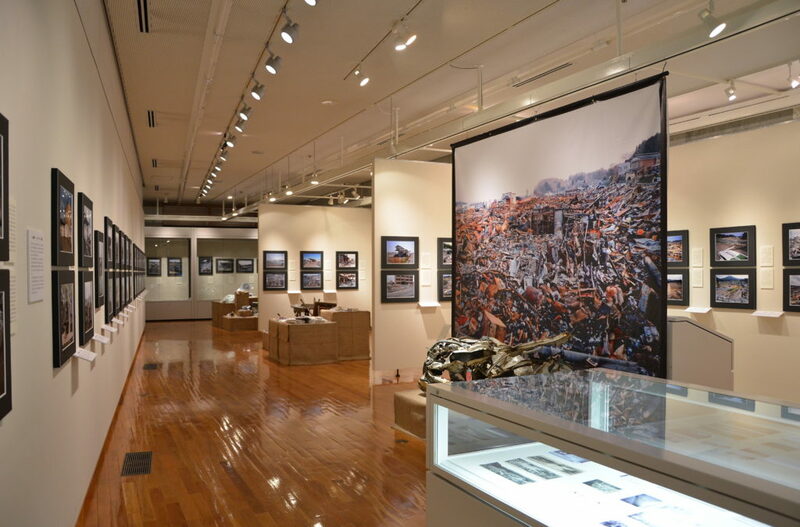 Tour of the permanent exhibition, “Records of the Great East Japan Earthquake and History of Tsunami Disasters”. 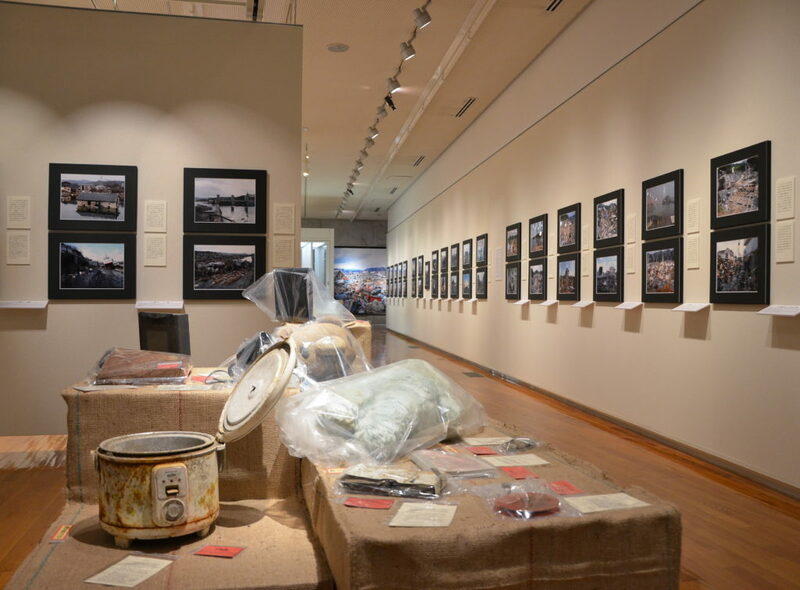 Participants can look at around 500 materials, including records and materials gathered from our own personal research, undertaken in the two years after March 11, 2011 (203 photos taken of disaster scenes, and 155 items damaged in the disaster). 137 other historical documents are also available for viewing. Kesennuma in Miyagi Prefecture was previously hit by the Sanriku tsunamis in 1896 and 1933 and by tsunamis after earthquakes in Chile in 1960 and 2010, and again by the 2011 tsunami. How should we develop the regional culture and achieve risk reduction? We don’t want participants to simply consider tsunamis in heavily tsunami-prone regions to just be “uncontrollable natural disasters”. 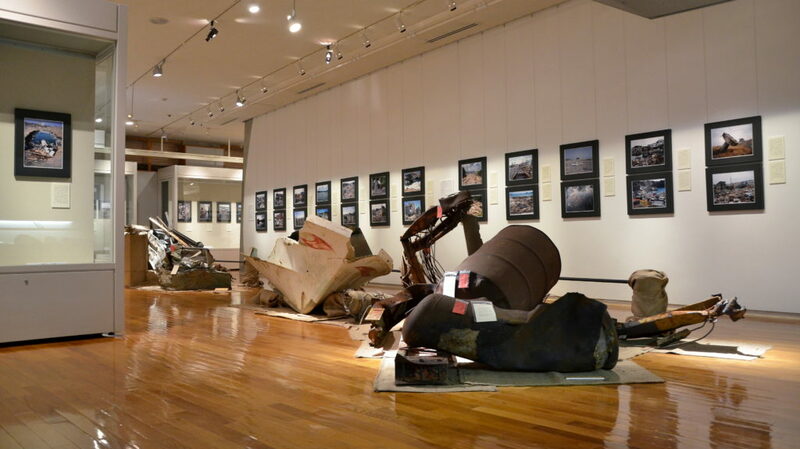 Rather, we would like participants to recognize that the scale of damage to the region during these disasters will differ depending on the accumulation of regional culture. We would like participants to think from various perspectives about not only disaster preparedness through structures, but also risk reduction through cultural activities. 100 people *Consult with us for more than 100 people. Permanent exhibitions require an admission fee.